Instagram is an official media app with wonderful experience, that provides you with "follow" button to follow your favourite and also allow you view content posted by anyone you follow. It has being a general problem when Instagram refuse to include download button in their app except you want to screenshot pictures or photos but no access to video, here today downloading is now made easy following the steps that will be highlighted here. Oh before we proceed hope you are aware that GBInstagram is now available which has numerous function even more than the normal official Instagram just as GBWhatsApp has better function to overshadow official WhatsApp. To download on Instagram is now easy as I said earlier so relax. If you are using PC downloading is very simple, infact best expereince to say. Personally I prefer downloading with PC because just in a click all the content needed will be downloaded and compress them like a ZIP file, you don't need any magic just click here to read through then you going to like it. Second method is by using app "InstaSave" which is commonly used by people but the truth is it waste time except you're the patient type, here is how it goes. When you click on the content you want to download, just at the top-right hand you see something like (2 dots or 3 dots) click, it drop down menus then tap on copy link, after you might have copy the link then you need to minimize your Instagram app then launch your InstaSave app. 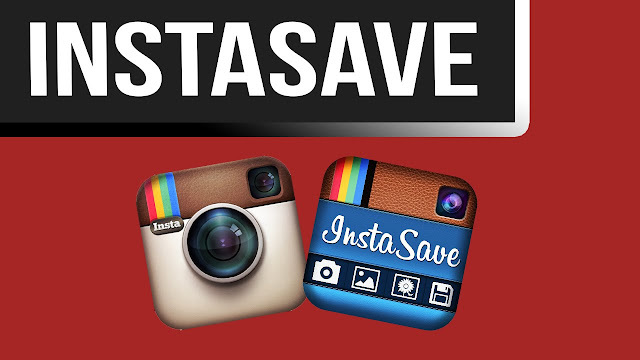 InstaSave automatically load your link and show the copied content which is now ready for download. If in any case it refuse to load then that might have being due to network then you can re-paste the link and download. Hope this is helpful at least, but I suggest you go for the first method except you are not with PC or preferably you download GBInstagram, it has downloading feature and that will be better for smartphone users.